Because that's pretty much all you're going to get. 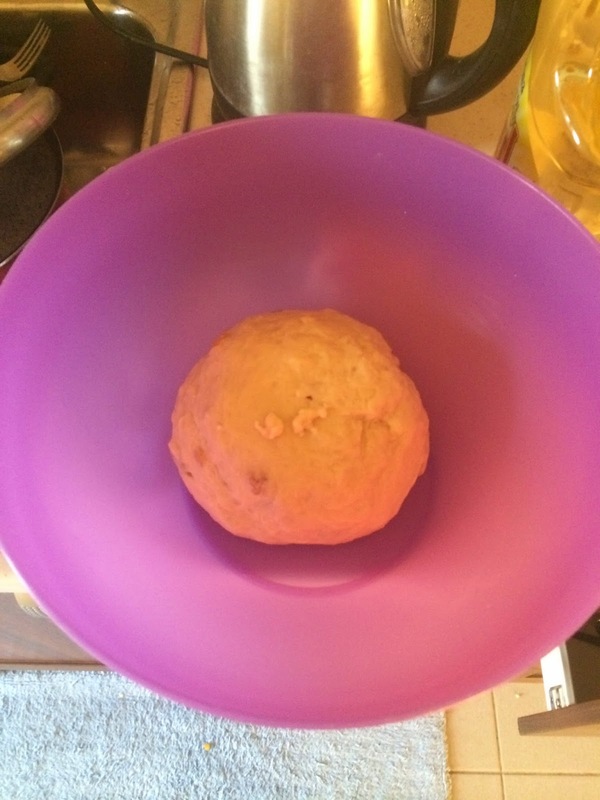 The dough, with yeast successfully cultivated, begins its first rise. 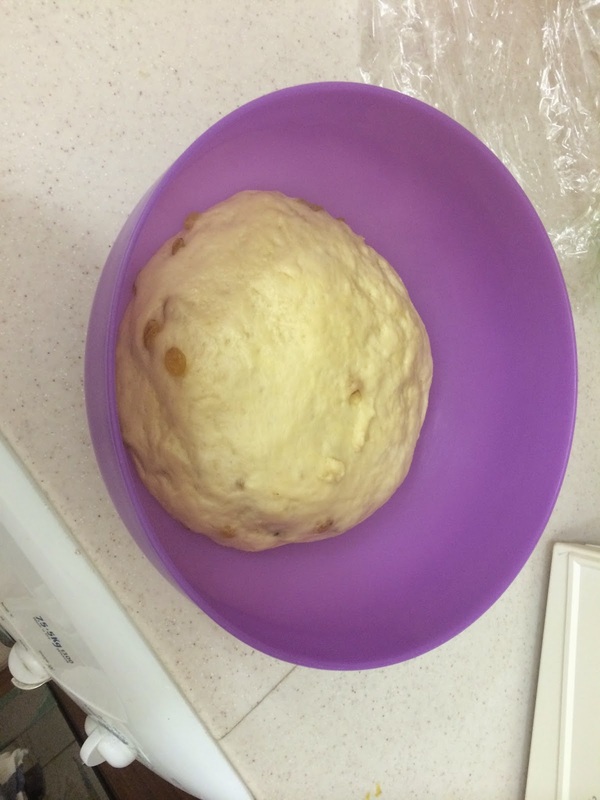 Post-rise dough looking awfully risen. Out of the fridge, into silly looking little rolls, and ready to rise once more. Look how it keeps growing! This just before Mike graced it with lamb and cauliflower soup and carrots and egg noodles, to go along with (of course) apples and honey and challah and wine. Note my sneaky pomegranate-vase/Jewish-holiday-multipurpose-tool to the left of the candle. It was a delicious dinner, a great way to ring in the New Year, and made us all feel lucky to have one another to celebrate with. Is more bread in the future? With Hannah's and my hubris adequately burnished by our first attempt, you can bet on it. Stage One: The Smith Abode. 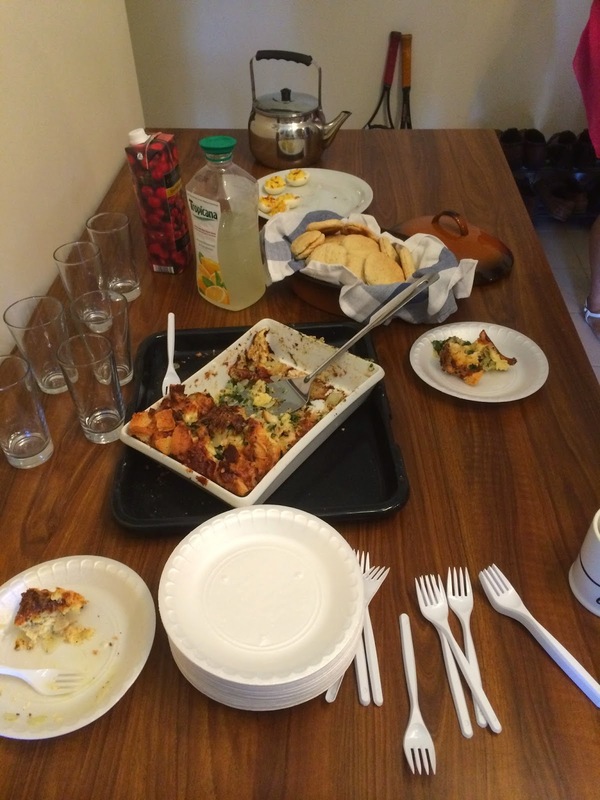 Yogurt parfaits with granola and fresh fruit; deviled eggs; Irish tea brack; coffee and tea. Stage Two: The Watsky/Procknow Palace. Shown above is the spinach and cheese strata I made (pour one out for Yasmine). Stage Two (con't): Strata, now accompanied by juice and johnnycakes. 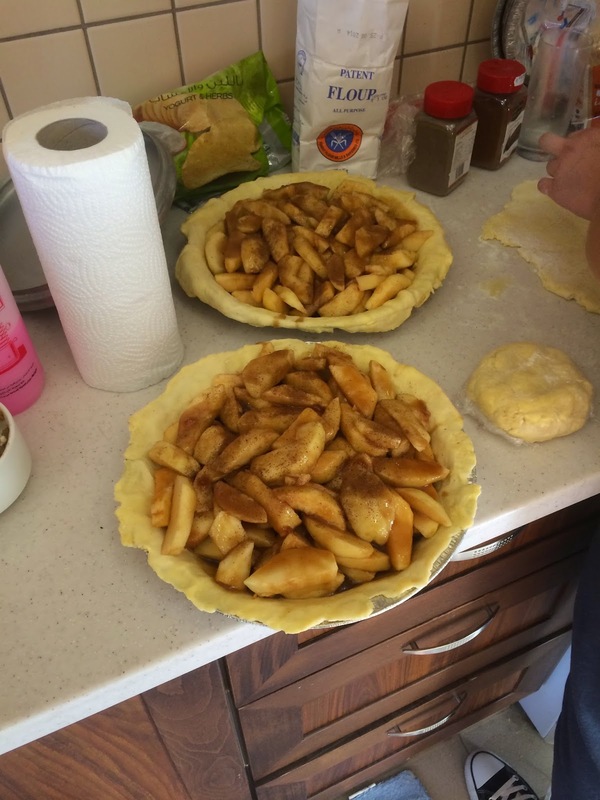 Stage Three (not shown) included an unreal mint cake and a delicious and flaky spinach pie. I thought I wouldn't have to eat for a week or so, but then it was time to cook for the weekend activity. So it was, by all accounts, an utterly delicious weekend, and I tried my best to think of the ideals of reflection and self-improvement that should characterize the Rosh Hashanah season. Now, just five short school days separate us from a two-week vacation that will see me trekking through the Balkans and shepherding some old friends up and down the King's Highway here, so be on the lookout for pictures if I ever feel like posting them. Onward to October!